Through riveting and moving personal recollections of both Palestinians and Israelis, 1948: Creation & Catastrophe reveals the shocking events of the most pivotal year in the most controversial conflict in the world. It tells the story of the establishment of Israel as seen through the eyes of the people who lived it. This documentary was the last chance for many of its Israeli and Palestinian characters to narrate their first-hand accounts of the creation of a state and the expulsion of a nation. 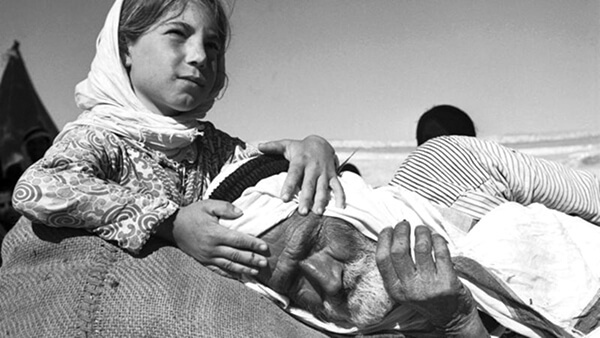 While Israelis mark Independence Day, it is known as the Nakba (Catastrophe) for Palestinians.